Made in Greeley. Appreciated Worldwide. “Greeley,” says Greeley assistant city manager Becky Safarik, “is a city of makers.” There’s the son of a local cattle rancher who developed a way to detect ovulation in cows earlier so that fertilization was more accurate – and is now using the method to help families trying to conceive. There’s the biology professor whose work mapping the prairie rattlesnake genome is enabling scientists to develop better anti-venoms. There’s the hat maker whose handiwork is worn by none other than President George W. Bush. It’s arts and crafts and patents and technologies and a factory that produces 20,000 handmade tortillas every day of the week – and the local support that such ventures require. When a 100-year-old walnut tree on the grounds of the Meeker Home Museum needed to be taken down, the city forester asked Jim Emmett, owner of Greeley’s Magnolia River Manufacturing, if he could put it to use. Jim knew just what to do. 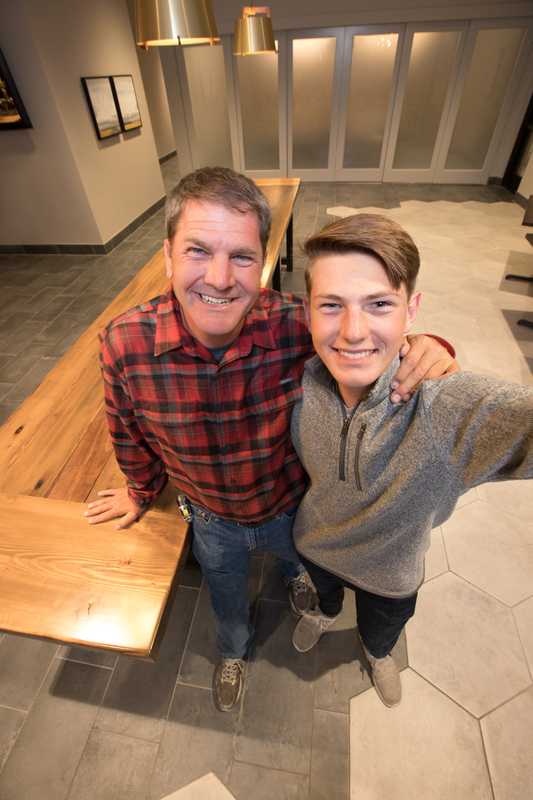 He hauled it away and used the lumber to build a custom bar surround for Meeker’s Colorado Kitchen in the new DoubleTree by Hilton. The irony, of course, is that one of the seven principles on which Greeley was founded – by Nathan Meeker – was temperance. And the town, like others in Northern Colorado, remained dry until 1969. From hats to honey to homegrown ingenuity, it’s made here and delivered around the world.